DESCRIPTION GREAT BI-LEVEL STYLE HOME IN THE TOWN OF BLACK DIAMOND. 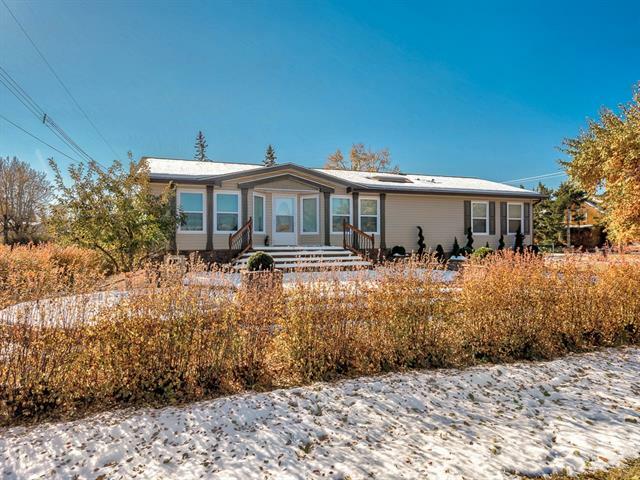 OPEN CONCEPT MAIN LEVEL WITH VAULTED CEILINGS, KITCHEN HAS GRANITE COUNTER TOPS, MAPLE CABINTRY, PANTRY, ISLAND & HARDWOOD FLOORING, LIVING ROOM, STONE GAS FIREPLACE WITH MANTEL. MASTER BEDROOM - CEILING FAN, HARDWOOD FLOORING, ENSUITE - JETTED TUB, SEPARETE SHOWER, TOLIET, TILE FLOORING, GRANITE COUNTER TOPS, WALK-IN CLOSET, 2ND BEDROOM & 3RD LOFT ABOVE THE GARAGE. MAIN BATH - SOAKER TUB, GRANITE COUNTER & TILE FLOORING, MAIN FLOOR LAUNDRY. LOWER LEVEL - LARGE WINDOWS, 4TH & 5TH BEDROOMS & LARGE FAMILY ROOM, 4 PIECE BATH. DOUBLE ATTACHED GARAGE 22.9 X 22.3., LARGE DECK ON BACK HOME TO HAVE THOSE GREAT BARBEQUES. CALL FOR YOUR PRIVATE VIEWING TODAY. Home for sale at 568 Diamond Cr Black Diamond, Alberts T0L 0H0. Description: The home at 568 Diamond Cr Black Diamond, Alberta T0L 0H0 with the MLS® Number C4222301 is currently listed at $394,900.